Mirror mirror on the wall, who is the fairest of them all? Who's asking? 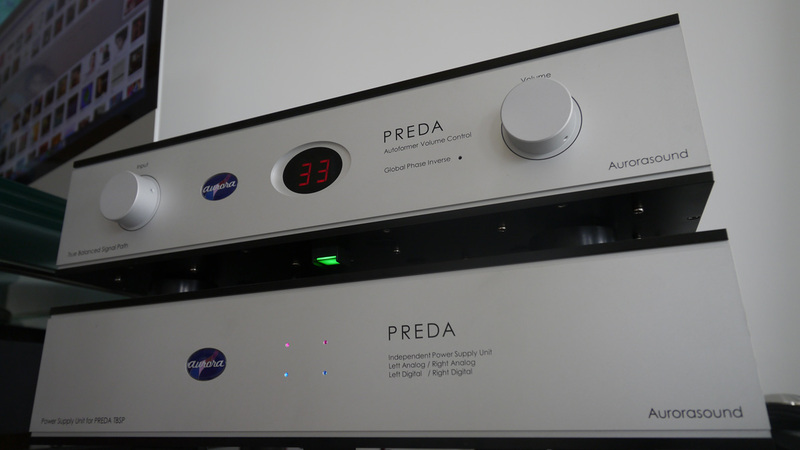 If it's a preamp; and 'fairest' audiophlinglish for most pure... the answer must undoubtedly be "a passive". Nothing can be more transparent than nothing. That's as plain as no cable being better than no cable. Back in the real world of cables and other somethings, it's pretty much agreed. No matter how faint, all parts leave a sonic fingerprint. From this follows that fewer parts mean fainter and fainter traces. When it comes to preamps, a quality pot and some hookup wiring between it and the i/o jacks are as minimalist, pure and unsmudged by dirty fingers as possible. In theory. Where reality bites is with longer cables, Ω mismatches and a vague thing called drive. Whilst it might be vague, drive is very much perceived when absent. It can manifest as listless, bleached and whitish. Here the passive concept suffers a checkered reputation. Pure it might be. But perhaps it's also just a bit lacklustre on dynamics, impact, crunch and body? 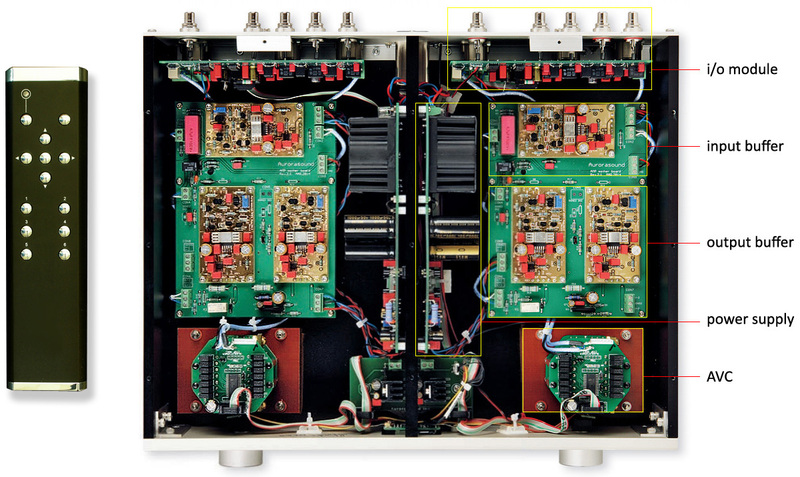 Much depends on cable lengths; how much the passive's output Ω shifts at different volume settings; and just how such shifty behaviour impacts the intimate three-some tango between source, passive and amp. Far from a panacea, passives occupy a specialty niche. Where they work well, they can rule unchallenged. Where they work just okay, they're would-be Caesars. At best. At worst, they're summarily executed by Brutus & Co., i.e. proper actives. End of story? At its most minimalist, a passive preamp could be a simple 1:1 i/o volume control like the remote-controlled $295 Audiocubic R-Cube at left. No such intro would be complete without a juicy what if. What if one combined the arguably purest form of volume control with direct-coupled buffers of ultimate speed, boffo current and ultra low noise on either side of it? For purist volume, John Chapman of Bent Audio is famous in OEM circles for his super-tidy implementation of David Slagle's attenuation autoformers. Rather than the usual rat's nest of unruly wires sprouting like Albert Einstein's signature mane between multi-click control knob and transformer tabs, John's Slagleformer modules use top-quality sealed Pickering relays shielded by mu-metal; and short ribbon wires to enable remote switching between tabs. What's more, discrete channels add precision balance control. To top it all off, there's nearly twice the number of volume increments than common for other transformer solutions; a quality numerical display available in single or dual windows; and a very popular very butch metal wand. Bent Audio attenuators adorn preamps from Thrax to Vinnie Rossi. Packaging houses like the UK's Acoustic Imagery started with nCore monos called Atsah. This they followed up with a fully balanced Bent-style passive. With 35dB of gain in their amps, where's the appeal in throwing away additional preamp gain with a standard resistive pot? The obvious answer: there isn't. This layout suggested a single-ended front end up to and including the attenuators followed by a balanced output stage. I'd have to ask to be sure. If so, it'd be what the Germans call a bunter Hund - a bit of a mix. Entering and exiting single-ended would involve summing at the outputs; entering and exiting XLR would mean summing by op-amps at the inputs. The purest way would be to enter RCA and exit XLR.